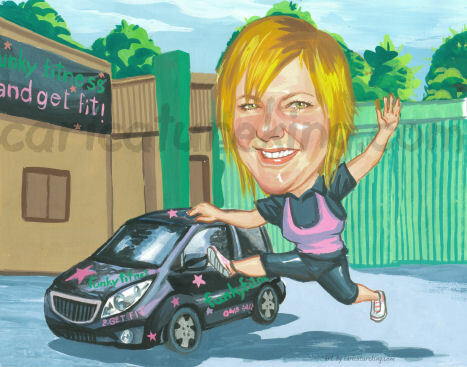 Artist John recently completed this caricature for a client who was giving it as a gift for a friend who is opening a new fitness centre. Thank-you so much for all your help in organising this caricature for me. John did an amazing job & my girlfriend just loved it. Such a fabulous unique gift John created.